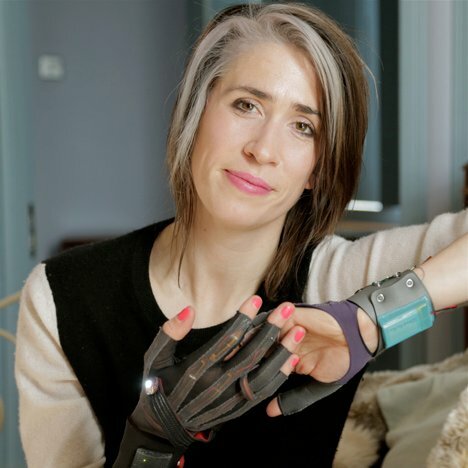 Tech news has dominated Dezeen this week, as Google unveiled its Android Wear operating system for smartwatches and Imogen Heap launched a campaign to produce her gloves that manipulate sound. Read on for more architecture and design news from the past seven days, plus our Dezeen Music Project featured track. This mix by techno producer Max Cooper was recorded binaurally, which creates the sensation of being surrounded by music from multiple different directions when listened to through headphones. Other tech breakthroughs included infrared sensors made from graphene, paving the way for night-vision contact lenses, and a way to charge mobile phones by stroking them. Patrik Schumacher took to Facebook to air his views about political correctness in architecture - and Dezeen columnist Mimi Zeiger responded in her latest Opinion piece - while Apple's Jonathan Ive gave a rare interview about the company. OMA released plans for a skyscraper in San Francisco and construction started on what will be New Jersey's tallest building. A range of domed currency was debuted by the United States Mint and across the Atlantic the UK's Royal Mint revealed a 12-sided £1 coin. The most popular stories this week included a secluded wooden cabin on a Norwegian island and a Strasbourg hotel where a spiral of wooden strips surrounds a staircase.